An American couple of Pakistani origin announced $15 million for the University of Notre Dame to create an institute that will aim to deepen knowledge of religion and seek to explain how the traditions and practice of various faiths influence world events, a New York Times report said. Rafat and Zoreen Ansari, who moved the US more than four-decades ago, are medical doctors who were born in Pakistan. They spent their lives giving back to the country which gave them their fortune, giving away an estimated $1 million and countless hours to non-profit organisations which focus on children with autism, a condition which affect one of their own children. 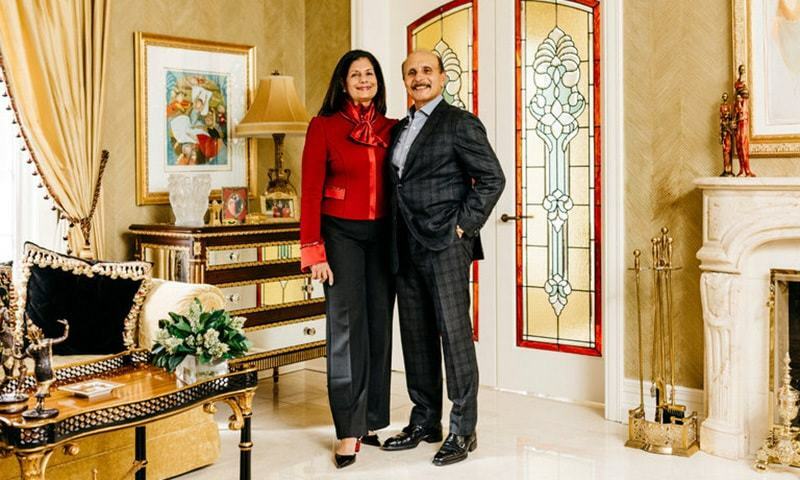 After more than a year of deliberation, the Ansari family decided to donate $15 million dollars to develop the Rafat and Zoreen Ansari Institute for Global Engagement With Religion at the University of Notre Dame. The donation itself is sizeable for both the university and the Ansari family, who consulted their longtime advisers Merrill Lynch to sort out the process of managing the funds. The finances are going to be held as appreciated securities and cash, and would be disbursed gradually over the years. Good gesture. Give back to the community that allowed you to thrive! Over paid doctors in US...making a fortune. Very good initiative by a Muslim family. Academic research should be encouraged. I hope other Muslims follow. Notre Dame University run by Catholic fathers. Pakistani-American couple Drs. Rafat and Zoreen Ansari prefer donating $15 million to a Catholic University than Pakistani Madrassa. Reminds me of the man used effectively by Clinton in her campaign. Mr.khizr too had expressed similar sentiments.But the difference is he lost his son. Excellent news. Keep it up and hang on tough. May God Almighty bless your and your loved ones. Aameen, Tsum Aameen. A very good step, but perhaps lack intellectual thinking. Their selection of Country, religion and people is short of sincerity to humanity in particular. The foremost logic for charity distribution must look at the state of destitute, suppressed, sufferers, people communities in need to pull towards social mobility and the need to assist society towards understanding and practice religious and human equality. Among the few points mentioned Muslims at large are the biggest suffers in every possible way e.g. poverty, lack to an absence of educational opportunities, health, the desparatly in need of social engineering, extremer suffering under the control and supports of planted corrupt regimes by the west and above all continuation of crusades". The couple made fortunes in the US, they could have created a Muslim organisation to have the final result. But it is their money, they have the right to do. I think they have it For Notre Dame for fame. If so, it is a in the eye of God. A commendable gesture and a nice way to be in the news. Doctors in Pakistan too earn a great deal but never think of such gestures. Earned through insurance cartels and used for tax break and publicity ... see through the act... some steak , more sizzle ... and yes off course, I am jealous!! Pakistan made them doctors, they dedicated themselves to America and now donate to America. What have they done for their country which needs them much more than America? @mohammad hussain so funding research is not a good idea? really this is a capable intelligent couple who want to use THEIR money to fund research on religions Why is it so wrong? The big round of applause by Mr & Mrs. Rahat they where proved it that the biggest relation of among people is HUMANITY. A Good deed which will pay off in the short and long run. More Muslims should donate as the Jewish people do. Another case of Pakistani origin Americans making their two countries proud. @ENGR Psycho: You only care the pasture that gives you green. Again and again a Pakistani. No one can beat or isolate this nation in any field. Keep it up Pakistanio. Nobel humans; they set high standards for the rest of us to follow. @ENGR Psycho The question that needs to be asked is.. What have YOU done for ur country. Start with introspecting ourselves !! These donation should had been given to the kids of Afghanistan, Iraq and syria who are made to the life of orphan because their parents were killed in Carpet bombing of USA. @Zahid M Malik Such a hater. No one is stopping you from doing the same. Stop whining about people who have accomplished something. @asad Typical keyboard warrior. What have you done for those children except criticize how a person spends their legitimate income. Why don't you sell the devices you are typing this on to help those children in need? @M. Emad Judging by the vile teachings in most madrassas I would have done the same, did you even bother reading what cause they donated to before coming here to spam hate? Well done Rafat and Zoreen Ansari! Always shine higher and brighter. Not going to help the gentleman in any way. What is meaning of $15 million in US? Burger for few people in the evening? Poor guy, he could have helped poor Pakistanis back home. What have they done for their country which needs them much more than America? @ENGR Psycho Just check the numbers of doctors killed in recent years and you will know the reason for them to migrate. Edhi could have been helped with such a large donation saving thousands of orphans in Pakistan and it is a non political organisation but where would the "fame and status" be in that? Everyone must to do good things at every moment. Well, $15M is a lot of money, and certainly they have a big heart to give it to Notre Dame. A donation of this size will go a long way to help Americans understand Islam better in a positive way. Had they chosen to give this money to a Pakistani institution, chances are it would be abused most part. Further, they would have got hefty tax break , and why not. they deserve it. This is indeed a beautiful gesture...heartwarming and pleasing bundled in tolerance and patriotism for ones motherland. Affluent Pakistanis here with bank acccounts abroad should learn from this. To whom much is given...much is expected. @Asad farid -You got that right. I salute this couple for their kindness. @Tariq jamshaid -Why did they choose to donate this kind of money to an American University? Countries like India and Pakistan are not set up to receive such donations. There is no transparency, there is no integrity. I'm sure 80% of the money would be abused, so it is not going to benefit Pakistani's poor. Drinking water is contaminated, there is no hygiene in street food. Police demand money for registration of FIR. "Rafat, an oncologist and hematologist...." Specialty - leukemia and lymphoma. Cancers of the blood and the lymphatic system. Mr. Trump these are immigrants from a Muslim country. Even then they will hate you, discriminate you, and attack you. @M. Emad: Is Saudi Arabia not donating enough to the Madrassahs? They get $15 million a day from the Saudis. $15 million over years would be pocket change for them. What a pleasure to hear this good news. Thanks to Dawn for publishing it. Made my day. Great ambassadors for Pakistan. Thank you. God bless. @mohammad hussain -- you express a very myopic view of this gesture. Think man!!! They are putting their money to promote harmony between religions. Congratulations on picking the right cause and venue to put your hard earned money. @Tariq jamshaid :Research and development at Notre Dame may bring good news and meds to Pakistan someday? @Masood -As long as human race survives, discrimination will not go away. Only such noble and selfless acts could kill this monster. @M. Emad...if donated to pakistan..3/4 will be in someone pocket..sorry..don't be selfish...why Pakistani living in Pakistan donate ? 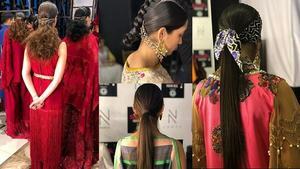 @Zahid M Malik The couple have worked very hard to be where they are today. Please show some appreciation. How many people in the world today will part with this amount of money! You guys did the right thing, keep it up. People get free education from Pakistan and make fortune in US because of this free education and give credit to US. Without this education you are nothing but minimum wage Cab driver. A great contribution by the Ansari family. Investment in research has almost always paid high dividends. In this paticular instance, the dividend is likely to be in the form of better understanding among the US and Pakistani citizens. Further, the stature of Pakistani doctors in the US, which is high, would get a boost. Congratulations to both Zoreen and Rafat Ansari and best wishes for them and their children. Any donation for the medical school where he received the MBBS degree in Pakistan? @M. Emad They did it to safe guard muslims and Islam and to for non-muslims to have a better understanding of the religion. Analyze the motive behind it and not jump into conclusion. 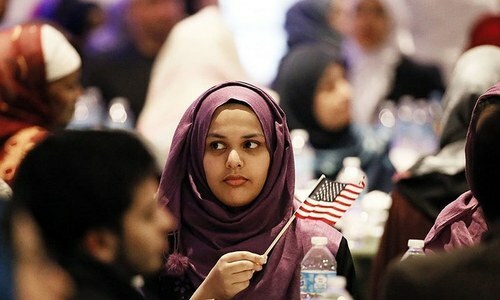 They are americans and doing something good for americans and muslim americans. Good job. @ENGR Psycho, Wrong, they made themselves doctors, which requires years of hard work, dedication, sacrifice, America game them opportunity, they did the rest. They are free to do as they please, they do not owe anything to anyone, they certainly don't owe you an explanation. They are doing great work, they are helping people, they are trying to educate everyone about faith, religion and equality. What are you doing? @mohammad hussain : if you read it, they want to do something for their country and humanity. What is better than education. When are you guys stop viewing things from a religious lenses. Maybe the first Islamic chair in an American academic institution NOT funded by the Saudi's or any other gulf states.Kudos to the couple. @ENGR Psycho Ask yourself the question, why do people leave Pakistan. Prime Minister Gilani was asked on British TV interview. "Why are Pakistanis leaving Pakistn in great numbers" You know what his response was . Let them leave. No one has to explain to you what they have done for Pakistan. Even if someone does something , you would not know. "Among the few points mentioned Muslims at large are the biggest suffers" if they are suffering its because of their own follies. They have forgotten their origin. What a waste? Why not donate this 15 USD million to IBA or LUMS and make it world class? Congratulation! The Notre Dam Authority has been running the best college in Bangladesh since the united Pakistan days and recently opened an university at not so wide college campus. @Zahid M Malik Making a huge fortune, and don't know, what to do with it. Hope Mr. And Mrs. Ansari also donate some of their wealth to poors of pakistani who are really in need of this donation. Again with the same old comments - why did they donate there and not here. Some people need to understand that its the money they earned and their wish to see where it goes. We must respect their efforts. Very generous, magnanimous, very Nobel. It would ,however , have been better had it been spent on using it for underprivileged. Maybe setting up homes, shelters or schools for the underprivileged. @AHMED What did you do? @Sana ; Excellent , the need of the time! you stole my words - I have nothing to say except congratulate you!! This is first of its kind. Hope more of such follows. One wonders where they graduated from. If from Pakistan, and then moved to the US, where they made their fortune, the country having a prior right on their charitable instincts, is the country that gave them the education that enabled them to move to the US, where the medical associations are notorious for keeping the number of doctors small, so they can mint money. The doctors in America are overworked and overpaid as a consequence. Then there are the scams involving the health insurance industry, which results in unnecessary tests, unnecessary operations etc. The exploitative pharmaceutical industry, with whom the doctors work hand in glove, completes the picture. How else could a doctor couple earn enough to donate $15 million from their practice. And the cause they have given their money for is a non-starter from scratch. Humanity at best. And for those who are criticizing them, what if the couple already has or would donate in the future for their erstwhile homeland? Relax and appreciate a kind gesture. That is really commendable; and perhaps the first time that I have heard in my very long life; that a Muslim couple has done such a wonderful job; and that too; for a "Dhimmie" a Christian. How I wish there were a lot more Muslims; especially acknowledging what a tremendous job he Christian Edcucationilst have done in Pakistan; where a majority of Judges; Generals and Doctors have received their Degrees from. God bless you two. Have no doubt your will be blessed by the Almighty. @M. Emad dont blame them. why are they investing in the USA? imo they should have invested 50% inPakistam. @Concerned Pakistani ---- As if no one else was killed. Great gesture but would have been even great if the Ansari's allocated a portion of this money for "research" of cancer in Pakistan - from the university that made them doctors (in the first place). Yes, its a fact that America offered them chances to prosper and grow but Pakistan made them doctors (that too almost free of cost). @mohammad hussain : I am sure the Ansaris are also contributing to other charities for under privileged people. This gesture is a good one to develop better understanding between all religions and faiths. Religious ignorance leads to extremism and fanaticism. A better standing is the need of the time. Good job Drs Ansari. Should have given a gift to Pakistan. It needs it more. 15 million USD is a lot of money for Pakistan's economy. Poor people deserve it more than uni research. I hope they have given at least the same amount to their poor relatives back home and around them (lot of poor sleeping rough in US too). Great work, can't wait to read the first research paper. what is intriguing is that they prefer to donate the funds for religious study, rather than science and technology - something that can change the lives of millions in the 3rd world?! @mohammad hussain. its costs almost a million dollar to get a MD degree in USA. Some Pakistani medical schools are the best in the world and Pakistani educated doctors send their kids back to Pakistan for a medical degree. The reason is, it does not not even cost a few thousand dollars to earn a degree in Pakistan. Its almost free. Lot of Pakistani have established hospitals in Pakistan where the they provide free medical care for the needy. A group of doctors in Milwaukee, Wisconsin (USA) are running a hospital in Okara (Punjab) and donate millions every year.At least they are giving something back to the country which provided them free education. American Universities especially run by the Catholic Charities have tremendous resources and they also receive funds from the govt. Lot of Govt run hospitals in Pakistan lack modern diagnostic equipment and qualified doctors. A large donation like this would have gone a long way to help the people of Pakistan.Only God knows the intention. @ENGR Psycho. Some Pakistani doctors are doing a lot to help the needy in Pakistan. GOVT run hospitals lack modern equipment and the hospitals don,t have proper medcications. Most hospitals don,t even have defibilator which cost around 1,000 dollars but save lives in case of a hear attack. @Sukhera well said. I wish these doctors also had have your sense. Ansaris have kept the tradition of Helping Others.